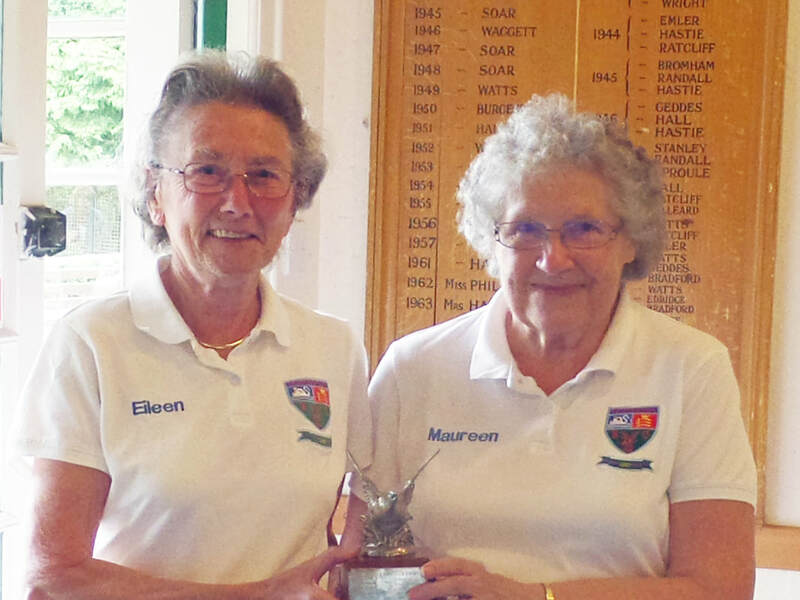 Maureen Elmes and Eileen Ball, winners of the Jack Gaydon Trophy last year (see 2017 report below), narrowly missed defending their title on Sunday, August 5. 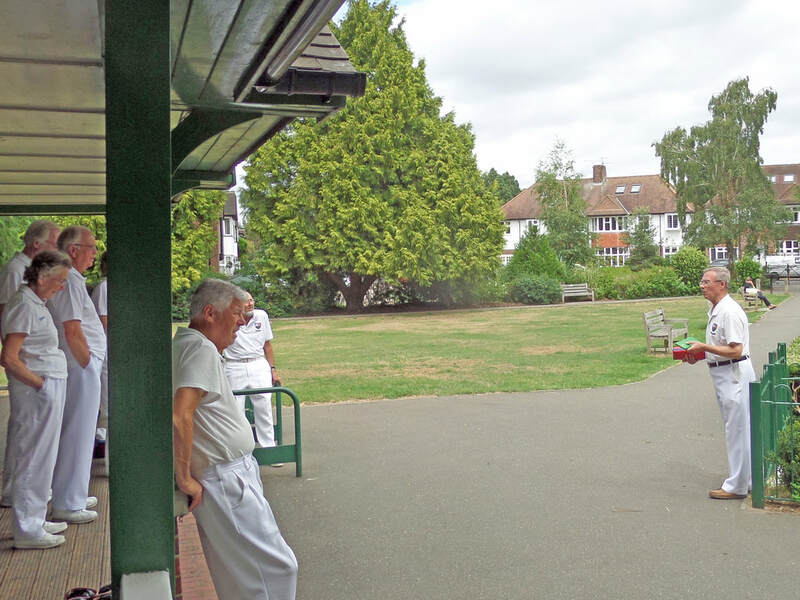 The random draw resulted in the two ladies playing together for a second successive year. And when they had scored nine shots to two at the half way stage of the 16-end four-wood pairs competition, it looked as though they might repeat their 2017 victory. However, in the final reckoning, Maureen and Eileen were pipped at the post by Roger Banfield and Roger Joslin, who recorded a net plus eight shots to their plus six. Maureen Elmes and Eileen Ball won this year’s Jack Gaydon Trophy on Sunday, July 16 in what was their second victory of the weekend. In the round-robin one-day club competition, they recorded a net score of +11 shots to nudge out Roger Banfield and Bob Cuell on +8. 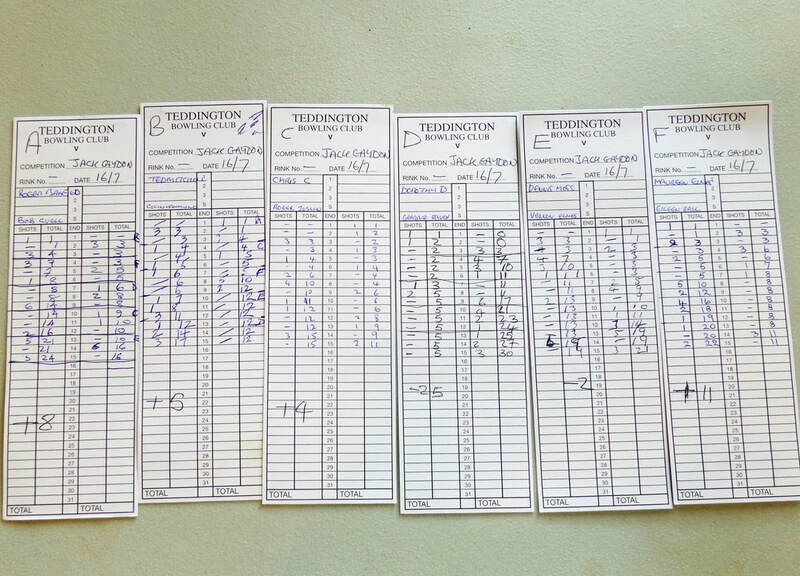 Six pairs took part in this year’s four wood contest, playing three-end mini-matches against each of the other five. 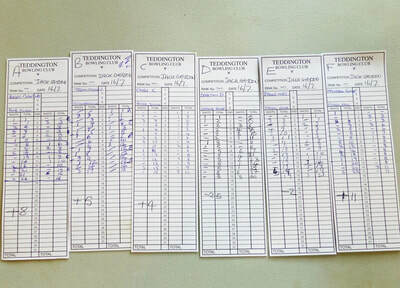 Other pairs who recorded plus scores were Ted Mitchell and Colin Hammond, and Chris Caswell and Roger Joslin. Maureen and Eileen’s win followed a Grove Dowsett match on Friday evening in which, representing Emmerdale, they beat an Ambridge team by 24 shots to 9, and nine points to one.